Please note that the content of this book primarily consists of articles available from Wikipedia or other free sources online. A chin implant, better known as chin augmentation, is a surgical intervention involving the reshape of certain facial features, namely chins and jaw with the use of prosthetic implants. A relatively easy operation, the chin surgery is believed to be a potential solution for people who don t like their facial look, or are having genetic/acquired chin defects. 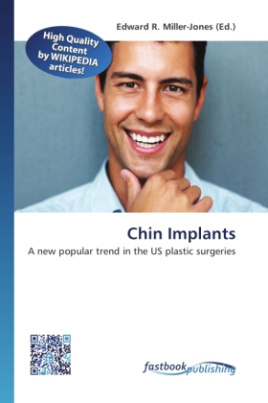 According to statistics released by the US Society of Plastic Surgeons chin implants are increasing in popularity, becoming the fastest growing trend among men and women. To find out more about chin augmentation, its pros and cons read this book.